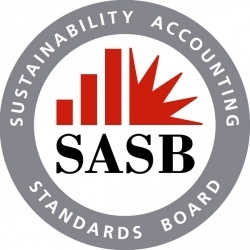 At a meeting earlier this week, The Sustainability Accounting Standards Board (SASB) announced that it was launching what it calls its “Corporate Roundtable.” It hopes to get ten large companies to join the Roundtable over the next few months. These companies will then use the materiality standards that SASB has developed to upgrade their public disclosure documents. The first company to join the program is NASDAQ OMX. As part of running one of the world’s largest stock exchanges, NASDAQ employs 3,000+ people and operates at least eleven facilities. It will be fascinating to see SASB’s guidance tested in real life by a company that is deeply involved in a host of regulatory and reporting activities. The International Integrated Reporting Committee (IIRC) started its pilot program in 2011. We track the companies in this program (and the companies who have supported SASB by joining its working groups). We were pleased to see that the average ratings for both the IIRC pilot companies (61) and for the SASB working group companies (57) were well above the average for all CSRHub-rated companies (51). This confirms our view that companies who are actively engaged in understanding and implementing integrated reporting are “ahead of the curve” overall in their sustainability performance. Let us know if you think your company might be interested in joining the Corporate Roundtable. SASB is actively recruiting new participants and seems willing to provide workshops and other types of training support, to help its pilot companies through the implementation process.